Each month, Combat Press will take a look back at all of the action of the previous month in the kickboxing and Muay Thai world. With the popularity of the sport highest in the Eastern Hemisphere, our coverage will take us to Asia, Europe and back to the West Hemisphere from Las Vegas to Rio de Janeiro. The monthly review will be released in parts that cover the sports of kickboxing and Muay Thai, with all of the results, announcements and videos available for your consumption. The first section of the September review takes us to Thailand, the home of “the art of eight limbs.” Muay Thai has a rich history in the country, where it was originally developed from a militarized form of hand-to-hand combat used by the national army several hundred years ago. The sport received its first set of formal rules in the 1940s alongside the construction of popular stadium Rajadamnern in 1945. The construction of Lumpinee Boxing Stadium in 1956 with support of the Thai government led to an increased popularity of the sport on a national level. The further modernization of the sport led to the spread of Muay Thai to Holland and many other European countries in the late 70s and early 80s, the so-called “Golden Era” of the sport. The spread to North America and the rest of the world soon followed, which is why we see Muay Thai so deeply rooted into the mixed martial arts community as well. 1. Sam-A Kaiyanghadaogym put together an all-around great performance against Kasurek Petjinda in the Thailand featherweight title bout at New Lumpini Stadium on Sept. 15. The 32-year-old Sam-A had to contend with an aggressive Kasurek in the first three rounds, defending and countering with great precision and skill. Sam-A showed superior footwork and head movement despite finding himself in constant exchanges with Kasurek. Kasurek didn’t miss every shot, but Sam-A was able to take his punches and keep on landing counters and moving away from the second, third and fourth attacks. Sam-A took over in the latter two frames, landing brutal knees to the body and clean, crisp straight punches and elbows. The title-winning performance continued to improve upon Sam-A’s astounding record of 364 wins. 2. Krobsud Fairtex made his New Lumpini Stadium debut against veteran fighter Rakchart Sor. Tubtim. The debut performance was certainly impressive from the Fairtex-trained fighter. Krobsud put Rakchart down with a strong left high kick in the final seconds of the second round. The crowd seemed to fuel the momentum of the young fighter. Krobsud stepped into action right away in the third round, chasing after Rakchart early. Krobsud grabbed Rakchart in the clinch, threw two quick knees to the right side of his body and then chopped downward with a devastating left elbow strike. The elbow put Rakchart out cold against the side of the ring, giving Krobsud a third-round knockout victory in his Lumpini Stadium debut. 3. Calm under fire, Jomhod Eminent-Air took an early head-kick knockdown and turned it into his own knockout victory in his Sept. 25 bout with Kengkart Por. Pekko. Jomhod kept calm, even smiling when the referee restarted the fight, and just got right back to fighting against Kengkart. Jomhod and Kengkart exchanged strikes with nothing significant landing to finish out the first round. Jomhod looked comfortable when the second round started, moving forward and awaiting his opportunity to attack. Jomhod struck with Kengkart’s back to the ropes, launching a left middle kick that hit the midsection of his opponent. What Kengkart didn’t expect was the follow-up left straight that plowed through his chin and sent him down to the canvas parallel to the ropes. The left hand earned the 26-year-old an impressive victory after he encountered early trouble. On Sunday, Sept. 4, the Krikkrai promotion returned to New Lumpini Stadium in Bangkok, Thailand. In the evening’s main event, Sangmanee Sor.Tienpo took a five-round, back-and-forth decision over Muangthai Por.Lukboon. The co-main event featured a fight for 2 million baht (54,000 USD) between Rotlek Jaotalettong and Pokkeaw Fonjanchonburi. The two men put everything into the fight, often exchanging heavy strikes just inches apart. 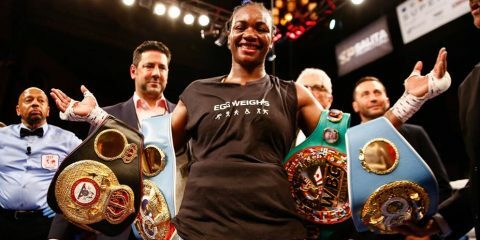 A long stretch of action from the third round to the end of the fourth kept the fans anticipating a knockout that unfortunately didn’t come to fruition. Rotlek landed the more effective strikes throughout the bout to earn the five-round decision victory after a grueling affair. In the night’s other action, Kengklar Por.Pekko won the Lumpini super flyweight title with a decision over Puenkon Leknakornari, and Chujaroen Dabrunsarakram decisioned Yodpanomrung Jitmuangnon. On Wednesday, Sept. 9, two of the sport’s top fighters met in Rajadamnern Stadium in Bangkok. Nineteen-year-old Panpayak Jitmuangnon fought to a draw with Superlek Kiatmoo9. The two men fought in the clinch for the majority of the fight. Panpayak is considered one of the best fighters in Muay Thai despite most recently losing the Lumpini Stadium featherweight title to Saen Paranchai in a five-round decision loss. Panpayak has won over 200 fights in his short career, including two wins over the popular Sam-A Kaiyanghadaogym at both Lumpini and Rajadamnern stadiums in 2015. Petmorrakot Wor. Sangrapai defeated Kwankhao Mor.Rattanabundit after a five-round fight where he controlled the clinch work. Manasak Sor.Jor.Lekmuangnon took a five-round decision from Singdam Kiatmoo9 despite a late push to finish the fight from Singdam. On Thursday, Sept. 10, Sor.Sommai returned to Rajadamnern Stadium. The main event was a 132-pound fight between Thai fighter Seksan Or. Kwanmuang and Japanese fighter Genji Umeno. Umeno got the better of the native fighter in the early rounds, but the superior kicking and clinch technique of Seksan overtook the boxing of Umeno. Umeno tried for victory until the final bell, but Seksan took the five-round decision. Thanonchai Thanakorngym defeated Pet-U-Tong Or. Kwanmuang with impressive forward movement and aggression. Pet-U-Thong threw his fair share of devastating kicks and knees, but Thanonchai weathered the counter attack and pushed through for the decision win. Jompichit Sitchefboontam took an early lead in his bout against Pakkalek Tor. Laksong. Jompichit used an effective counter-striking approach on his way to victory. On Friday, Sept. 11, the PetKiatpet promotion invaded New Lumpini Stadium in Thailand. The main event featured Saen Paranchai defending his Lumpini featherweight title with a win via a dominant decision against Songkok Nayoksanya. Saen landed effective knees and kicks throughout the entirety of the fight. Sing Paranchai and Sprinter Pangkongprab went back and forth in a 118-pound bout. Sing controlled the fight late by subduing his opponent’s offense with a strong clinch and frequent knee and elbow attacks. On Saturday, Sept. 12, Krobsud Fairtex knocked down Rakchart Sor. Tubtim in the early going of their Petyindee promotion fight at New Lumpini Stadium. The crushing left head kick put Rakchart down in the waning seconds of the round. Krobsud finished the fight off with a brutal left elbow that put his opponent to sleep, landing one of the best knockouts of the month. On Sunday, Sept. 13, MAX Muay Thai returned to the MAX-Pattaya Stadium in Pattaya, Thailand. 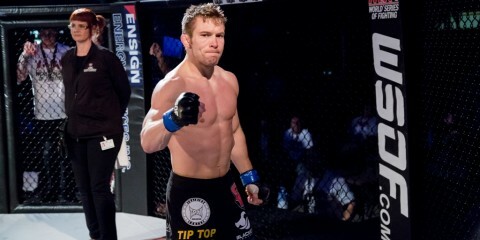 In the main event, Nueapetch Sitrambo defeated Spanish fighter Sebastien Sor. Klinmee in a back-and-forth, three-round fight. Spaniard Wanmario Kaewsamrit started a string of victories for foreign fighters in his bout with Sueadam Khongsittha. Wanmario took a decision with an aggressive offensive attack throughout all three rounds. Frenchman Demien Mokmuaythai threw a right elbow that opened a huge gash over the left eye of Sakchai Krudamgym. 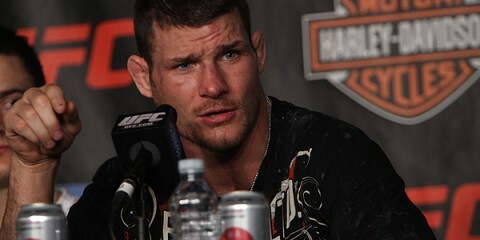 The doctor called a stop to the bout in the second round due to the severity of the cut. France’s Vincent Sityodtong decisioned Thailand’s Phosainoi Sitphupantu after three rounds of action. Chinese fighter Ah Hoo Loukmuengpetch upset Thai fighter Wanheng Sor. Sampeenong in a strong back-and-forth fight. On Tuesday, Sept. 15, the Petpiya promotion returned to New Lumpini Stadium for the featherweight Thailand title. The popular Sam-A Gaiyanghadao fought Kasurek Petjinda. Kasurek was the aggressor in the early going, but Sam-A’s stellar defense and counter attacks took over the fight. Sam-A landed an effective left elbow every time Kasurek overextended on his right side. Sam-A went on the offensive in the final two rounds of the fight. Sam-A landed crushing knees to the body between smart combinations ending with short elbow strikes. On Friday, Sept. 18, the Eminent Air promotion featured a main-event bout between its fighter, Santafaa Eminent-Air, and Yodsila Fairtex from New Lumpini Stadium in Bangkok. Yodsila landed the more effective strikes throughout the bout. The offensive attack earned Yodsila the five-round decision. On Sunday, Sept. 20, MAX Muay Thai returned to the MAX-Pattaya Stadium in Pattaya. The main event featured a 57-kilogram fight between Uzbekistan’s Tolaboev Sityodtong and Thailand’s Sansak Cho.Rattanachai. Sansak came out with an aggressive approach that pressed Tolaboev to the ropes in the first round. Sansak landed a strong right middle kick before he was met with a Tolaboev left high kick that was blocked. Tolaboev countered with a right elbow and follow-up spinning elbow that caught the Thai fighter by surprise. The fight started to heat up as the two fighters were exploding into exchanges with elbows and hooks to the head. Tolaboev was the aggressor in the second round, throwing effective straight punches in the exchanges. Tolaboev bullied Sansak in the clinch with a series of knees and right hands that sent him back. Tolaboev threw three more strong right hands before he just missed with another spinning back elbow. Sansak recovered briefly until Tolaboev jumped in with a heavy right middle kick that dropped him to one knee. Sanak couldn’t answer the count and the fighter from Uzbekistan scored the upset on foreign soil. The co-main event featured a 68-kilogram fight between Thailand’s Yodkaikaew Fairtex and Norway’s Mohammad Narincharoenleart. Yodkaikaew dominated the first round with effective kicking techniques and even a flying chopping elbow. Yodkaikaew continued the kicking attack in the second round, adding to his offensive with sharp elbows over and over again. The Norwegian fighter held tough, but he was clearly outclassed by the over 70-fight veteran. Yodkaikaew took the dominant decision win despite an attempted comeback from Mohammad in the third round. Swiss fighter Gligor Stojanov put his hands to good use against Sirisak Misakawan. Sirisak pushed the pace early, landing effective low kicks while keeping Stojanov in the ring corner. The Swiss fighter came on strong late in the first and early into the second. Stojanov threw two sharp right straights to the belly of the Thai fighter before landing an arcing left hook that made Sirisak stumble. Stojanov punched his way to the finish with a right hand that caught Sirisak over the top, putting an end to the fight in the second round. Payakdam Mor. Phuwananaypolkonkhonkaen showcased superior Muay Thai skill in all aspects of the sport against Italy’s Cladio Eminent-Air. Payakdam used a plethora of dumps, sweeps and knees inside the clinch over the course of the three-round bout. Samingdam Mor. Phuwananaypolkonkhonkaen closed in on the finish at the end of the third round, but instead took the decision over Dutch transplant Daniel Chanchaimuaythai. Arbi Mokmuaythai kept on winning when he put tremendous pressure on Sab Satit cd, stopping him with punches and a slashing right elbow that dropped the Thai fighter to the floor. The Russian landed spectacular elbow techniques in what was an excellent back-and-forth fight until the brutal knockout in round two. Australia’s Christopher Kemmuaythaigym kicked off a successful night for the foreigners with a decision win over Komsan Aor.Jeerawan. Christopher used his hooks and straight right punch to set up effective low kicks on his way to victory. On Friday, Sept. 25, the Petsupaphan promotion returned to New Lumpini Stadium. In the main event, Jomhod Eminent-Air fought Kengkart Por. Pekko. Kengkart dropped Jomhod with a crushing right high kick in the first round that caught the experienced Thai fighter off guard. Jomhod recovered quickly, popping back up to his feet with a smile on his face. The two men traded strikes with nothing landing with much conviction before the end of the round. The second round started with a similar pace. Jomhod pressed in with a left kick to the body followed by a powerful left straight that dropped Kengkart against the ropes. The strong left hand was perfectly masked by the left middle kick, earning Johmod the second round knockout win. On Sunday, Sept. 27, MAX Muay Thai returned to the MAX-Pattaya Stadium in Pattaya. The main event of the evening featured welterweights Rusland Sityodtong and Muengchon Petchtaotan. 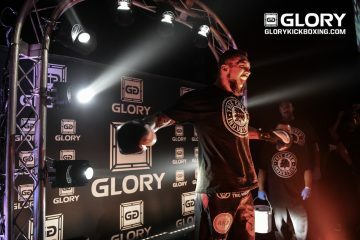 The Russian fighter, training out of the Sityodtong camp in Thailand, earned a knockout victory after dropping his Thai opponent multiple times. The first knockdown came at the end of a flurry of punches started off with a strong left high kick. The Russian continued forward and found his opening, throwing a crushing right hook that crumbled Muengchon. In the co-main event, Thai fighter Sangchan Sor. Sor. Nawat defeated American Spencer Sitmonchai after three rounds. Sangchan took a clinch-heavy approach to the fight, shutting down the kicking offense of the American. Sangchan continued to cement his performance with stiff knees to the midsection and opportunistic punches against his taller foe. The highlight of the night featured Thai fighter Banpetch Nalincharoenlert stopping French fighter Celestin Mendes with a hard right elbow strike just seconds into the first round. English fighter Nicolas Jittigym took a close decision from Hilmungkorn Sudsakornmuaythaigum. Foreigners kept on winning when Frenchman Sebastien Billard defeated Wattanasak I-Talay Pattaya Hotel by decision. Khonkaenlek Sitpholek defeated tough Russian Alexandr Sitmonchai with a strong performance inside the clinch. Kanthep MTM Academy opened a cut on the forehead between the eyes of Japanese fighter Shiro Yano. On Tuesday, Sept. 29, the Kiatpet promotion held an event at New Lumpini Stadium. Bigbank Chor.Koyuhalsuzu stopped Dabtevada Pumphanmuang with a series of non-stop knees to the midsection. Bigbank went to the clinch early and kept it up, crushing knees into the body of Dabtevada over and over and over again. The referee mercifully stopped the contest when the knees wore too much on Dabtevada, awarding Bigbank the technical knockout. Young fighters clashed when Tawanchai PK.Saenchaimuaythaigym fought Peemai Erewan. A very compelling fight from the outset, the two men traded heavy kicks throughout the five-round fight. Tawanchai edged Peemai on the judges’ scorecards. 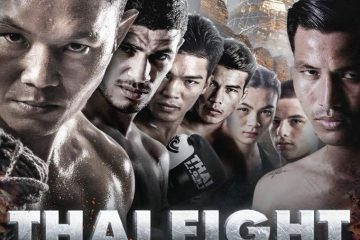 Check back in the coming days for the second part of our monthly Kickboxing Review, where we take a look at all of the major events from the month of September from promotions like GLORY, K-1, Kunlun FC and many more.